Home » Advice » Are Pirates a Danger to Expats? Are Pirates a Danger to Expats? 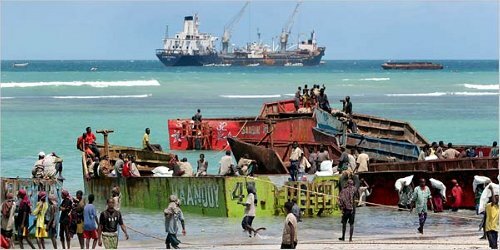 With all the news lately concerning Somali pirates, it’s worth asking the question: How concerned should expats be about piracy worldwide? The short answer is: a little bit, but it depends heavily upon where you are and whether your idea of expatriating involves a lot of yachting and boating in international waters. To be sure, expatriates are not typically the kind of target that pirates are looking for, as reports indicate that the vast majority of piracy worldwide targets larger vessels with small crews, such as cargo ships. That said, in pirate-heavy regions, hostage-taking and piracy of smaller vessels is still a concern. For instance, just weeks before the incidents off the coast of Somalia, reports surfaced of a British expatriate and yachtsman who was beaten and killed by pirates off the coast of Thailand. As these recent reports have made appropriately public, the regions where piracy is most concerning are the waters between the Red Sea and Indian Oceans off the coast of Somalia, and also the Straight of Malacca off Singapore. If you’re a yachtsman looking to venture into these waters, you should exercise extreme caution– or better yet, reconsider. Other areas of concern are waters throughout Southeast Asia, particularly Indonesia, although reports are frequent off the coasts of Malaysia, Thailand and the Philippines. Elsewhere in Africa, piracy is rampant in Nigeria, particularly within the Nigerian delta– where you have no business boating within. There have also been reports of vessels being pirated in the Mediterranean Sea off the coast of North Africa. Also, recent pirating hotspots have developed in the port of Santos, Brazil and Chittagong in Bangladesh. The good news is that modern piracy has been almost completely abolished in North American waters, including the Gulf of Mexico and the storied pirate haven of the past, the Caribbean Sea. Your best chance of encountering pirates here is limited to rides for children at Disneyland. Basically, you should always exercise caution when boating in waters which are common international shipping routes off the coasts of developing countries with frequent political unrest. But that advice has always been relevant. In the end, the important thing to remember is that all the recent international press about piracy is undoubtedly worse news for the pirates than it is for expats and international boaters. i think it mainly affects people in boats, from my own expat experience, i definitely know i won’t be taking a boat to arrive at my next location. my stuff might, but i dont’ think they are targeting those types of ships. i think the pirates know exactly what they are looking for and a few house hold goods transported by expats isn’t one of them.